Widely grown but probably not as well known as it should be, Acer Buegerianum or the Trident maple is a good smaller growing maple with attractive new bronze coloured growth. Originally from China and Japan A. Buegerianum seems to hold its foliage a little later than others and turns orange to red in autumn. Attractive peeling bark is an added feature. As a street tree it is useful for growing beneath power line, reaches around 8 – 10 m upright with a grown of around 7m so when mature it gives a nice round shape. 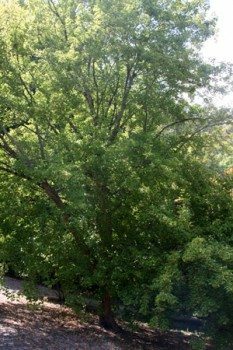 Also good for specimen tree or shade tree for smaller gardens. We suggest staking when young to ensure a good upright habit. Care is limited to removal of any dead or damaged branches. Relatively disease free. 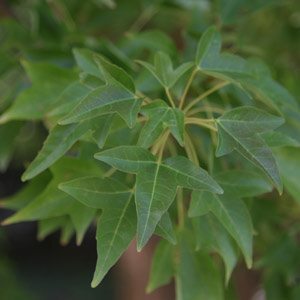 Once established Acer Buegerianum or Trident Maple is regarded as reasonably drought tolerant. If a cool root run can be established this attractive maple should grow well in South Eastern Australia. In exceptionally dry periods extra water my be required.